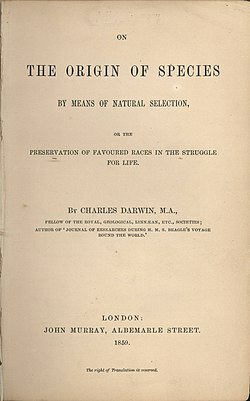 150 years ago (today) the book On the Origin of Species by Charles Darwin was published. When Brazil won the confederation’s cup some of the players wore and showed T-shirts saying “I belong to Jesus”. Seem pretty harmlees doesn’t it? I am pretty sure you found some of them a bit, well, annoying or perhaps even scarying. How come? Anyhow, what if Brazil hadn’t won. Would they still have showed the shirts? I read an article the other day about a woman saying that if god wants, her team would win. Doesn’t this mean that god wants the other teams to loose? So going back to Brazil and showing and wearing of the T-shirts after a defeat. What would the sentence mean then? Does christianity have a special permission? As opposed to Islam? As opposed to Atheism? Arrgg,,, … i am just rambling.